I have always loved beets. It really doesn’t matter how they are prepared. In a soup, roasted, boiled, pickled, or even from a can. Just give me lots of beets! My DH however did not always share the same love for this beautiful vegetable. You see, he grew up eating pan-fried trout with a side of pickled beets. For meals….most days, sometimes even multiple times that day. I can totally understand how one might develop an aversion to eating something if moderation was never applied, and I can happily say that I think that we have gotten him to start eating beets again (although, not the pickled variety). Even more shocking is the fact that he asked me to pick up a few pounds at the farmers market on the weekend. Strange? I certainly hope not! In this recipe, fresh mint ties everything together nicely and is really a key ingredient. I love how this salad reminds me of my travels to Morocco. Bliss! 2. Tightly wrap beets in a couple of layers of foil and roast on a baking sheet until beets are knife tender (about 1 hour). 3. 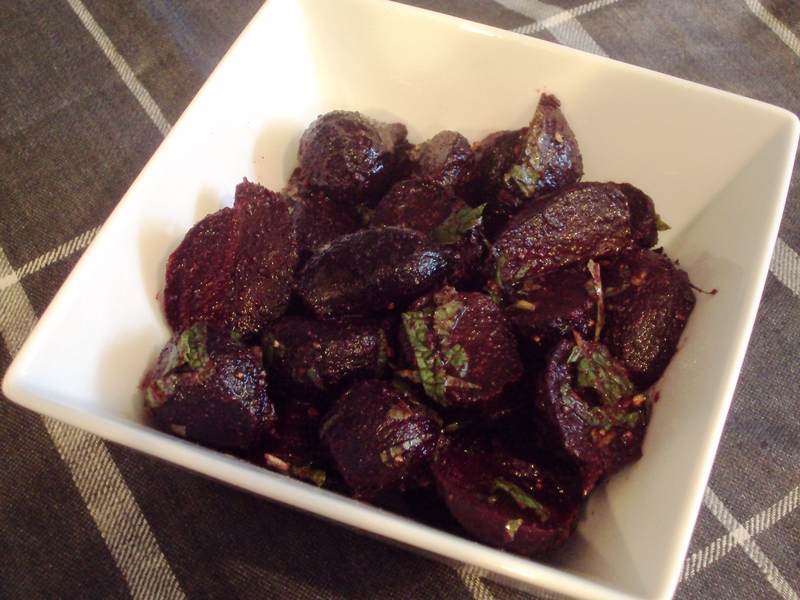 While beets are busy doing their thing in the oven, mix together the oil, lemon juice, cumin, salt and pepper in a bowl. 4. 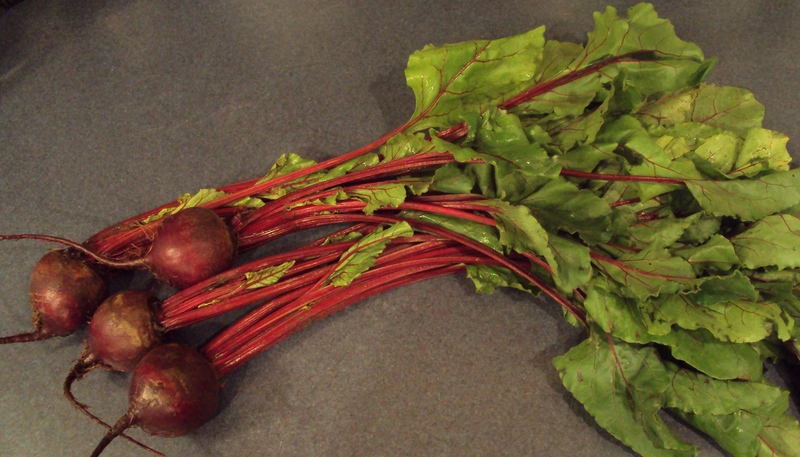 Remove beets and allow to cool slightly (so you can handle them without sending yourself to the hospital). 5. Slide the skins right off and discard the stem and root ends. 6. Cut into wedges if large, or halve if small. 7. Toss beets with reserved dressing. Stir in the mint immediately before presenting to the table.